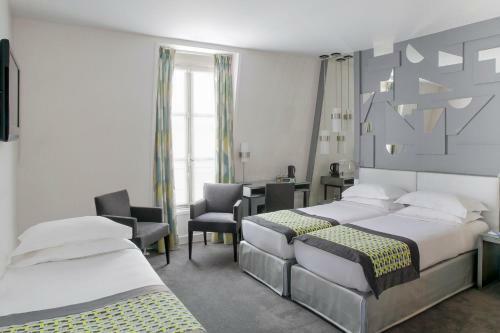 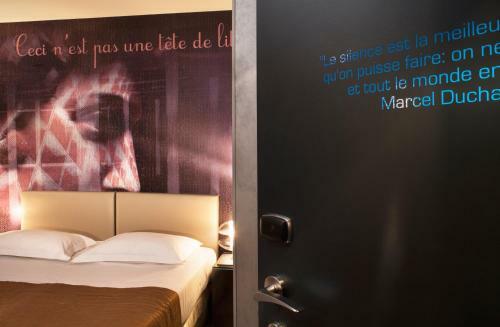 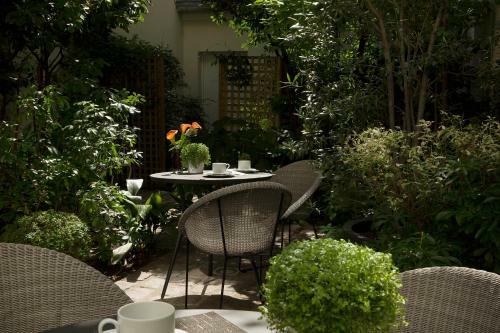 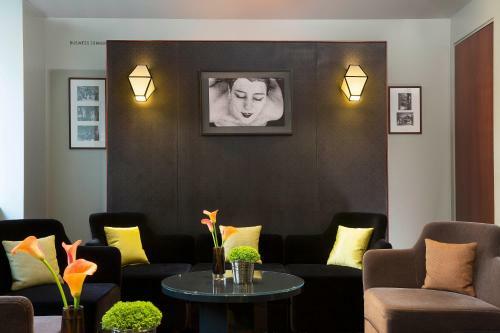 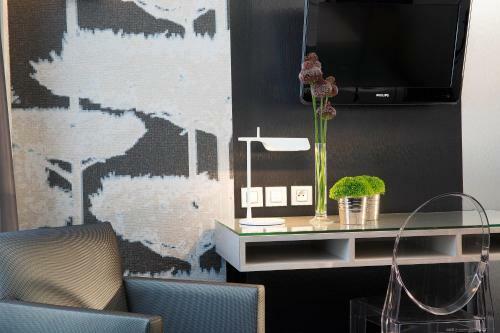 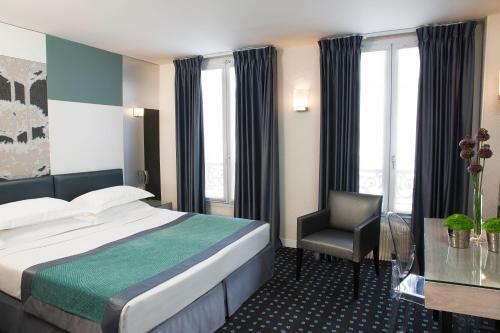 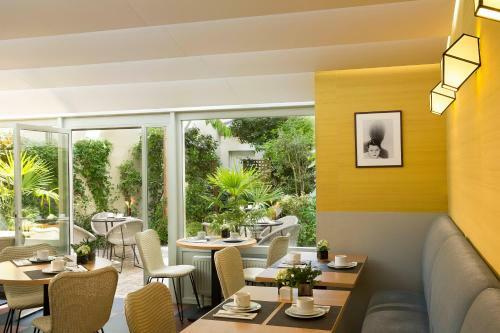 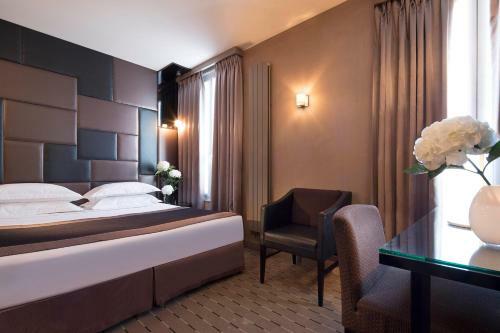 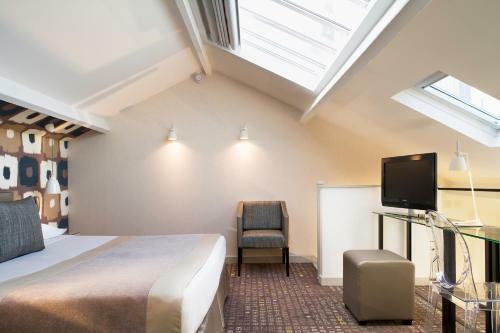 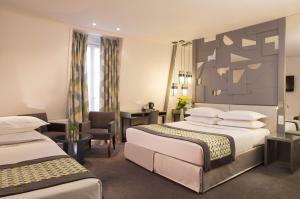 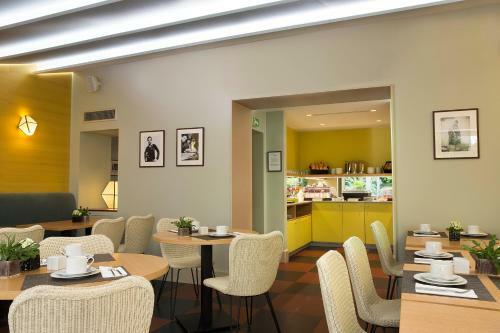 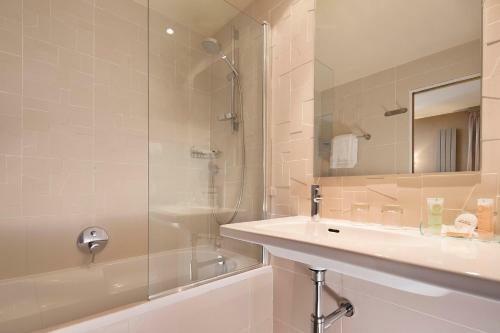 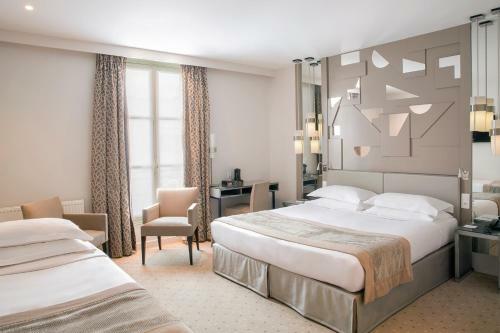 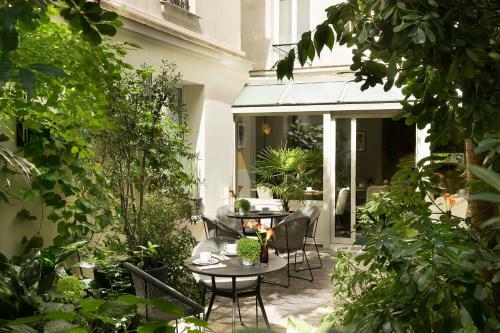 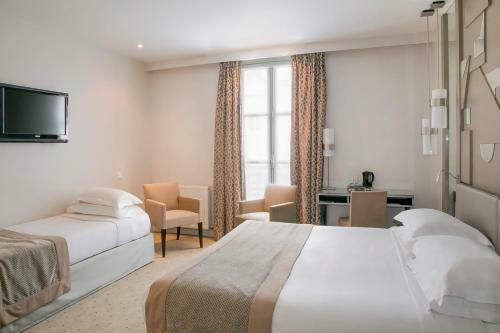 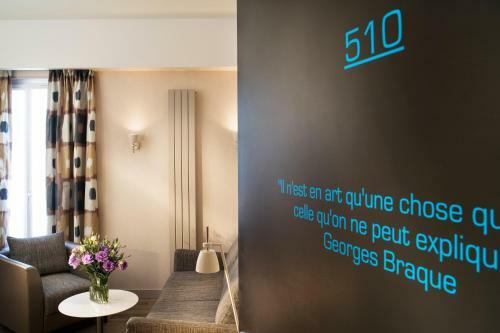 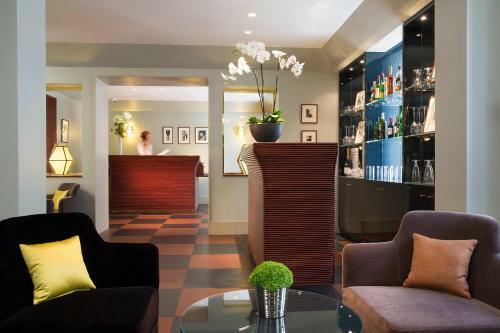 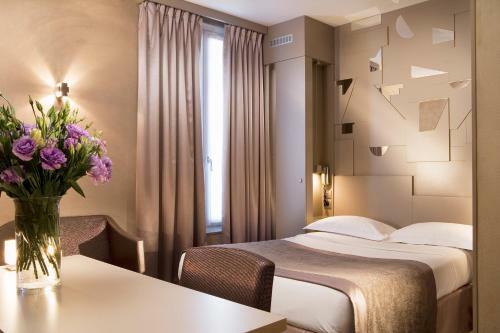 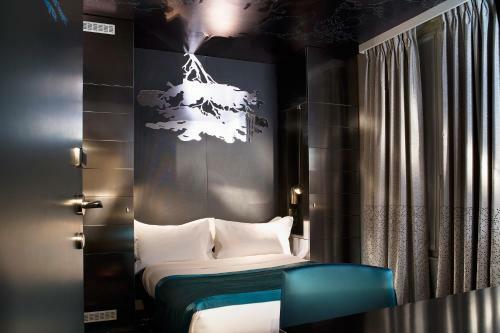 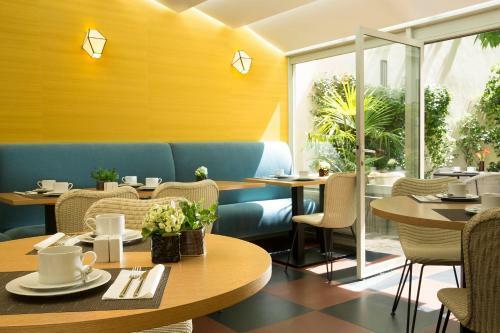 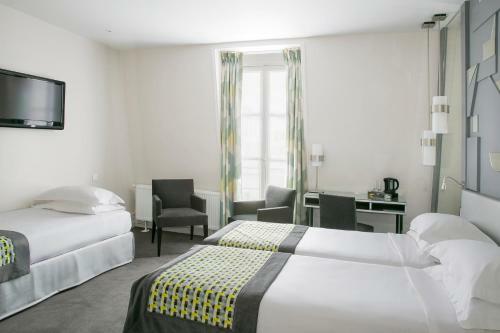 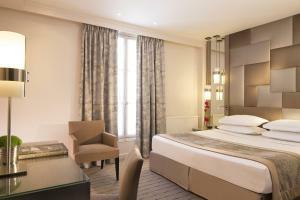 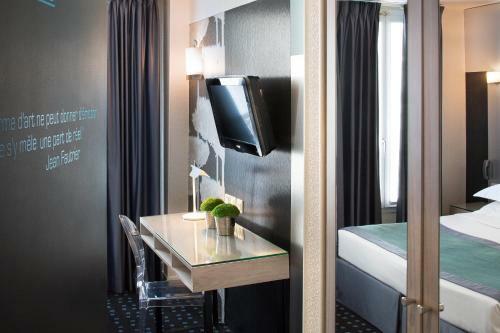 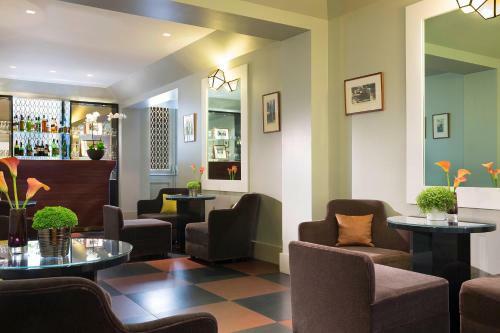 Located next to Vavin Metro station, this Hotel is a 2-minute walk from the Jardin du Luxembourg in Paris. It offers soundproofed accommodation with air conditioning and free WiFi. 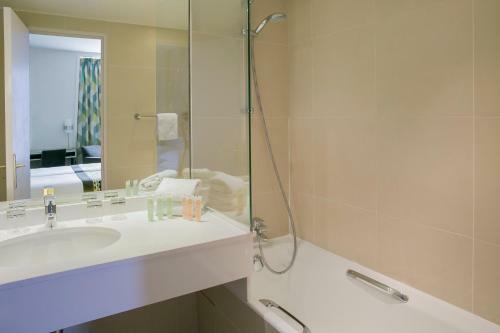 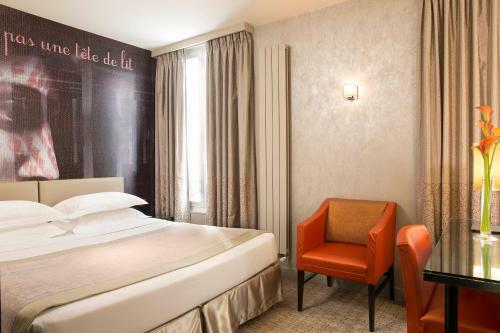 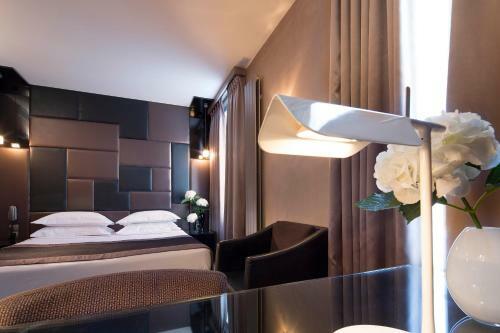 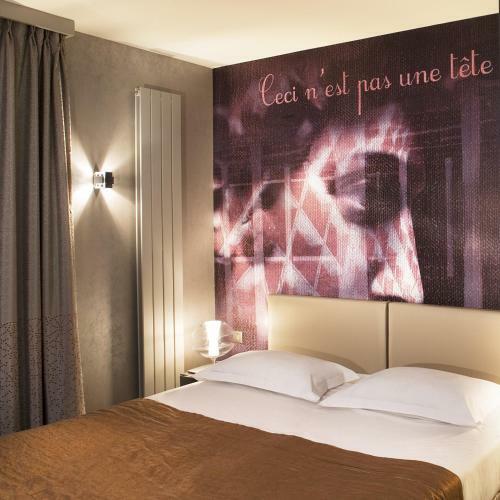 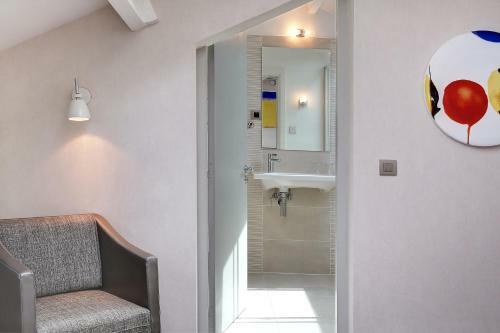 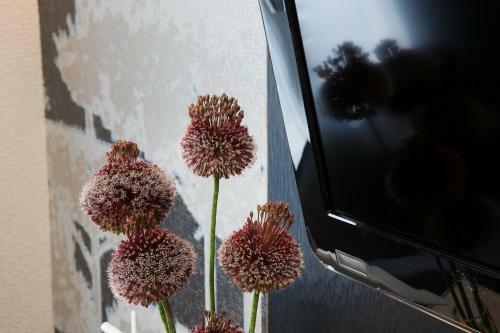 Each stylish guest room at Hôtel A La Villa des Artistes is decorated in a contemporary style. 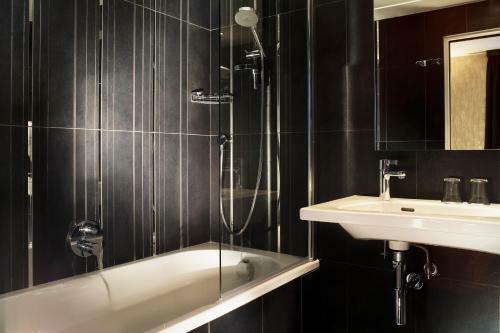 Rooms are equipped with satellite TV, a radio and a private bathroom. 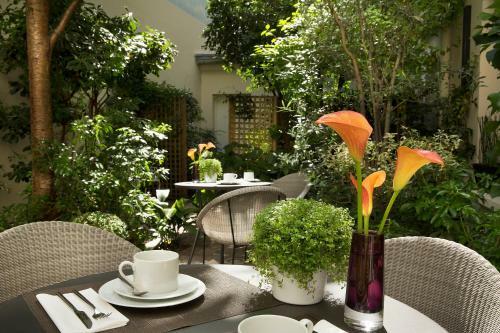 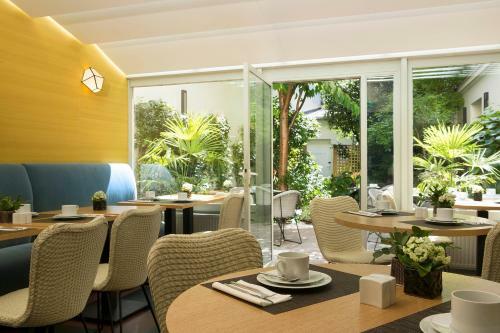 A breakfast buffet is served daily in the conservatory which opens onto the garden. 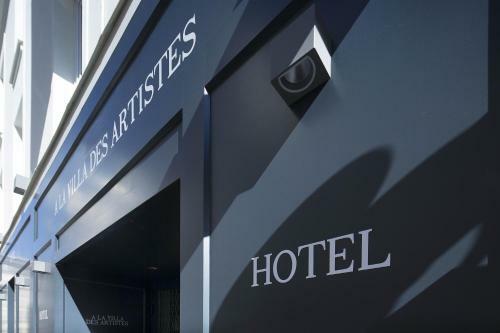 Guests are also invited to relax in the Artistes’s bar. 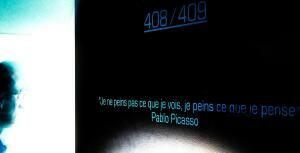 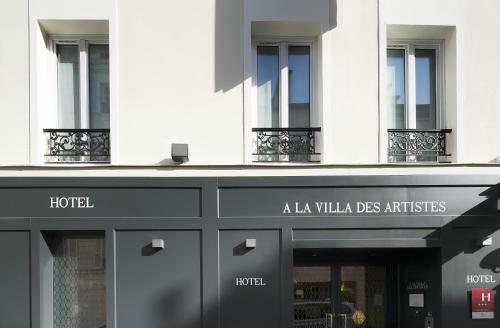 Hôtel A La Villa des Artistes provides a 24-hour reception with a tour desk and a ticket service. 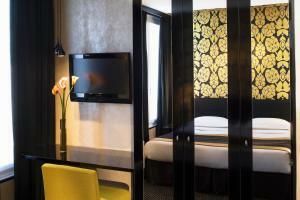 An airport shuttle is available on request and there is a direct Metro service to Gare du Nord. Please note that for non-refundable rates guests are required to show a credit card on their arrival. 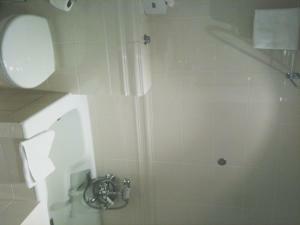 The details of this card must match the ones of the reservation's holder. Decorated in soft tones, air-conditioned room includes a TV with cable satellite channels, a minibar and a marble bathroom. 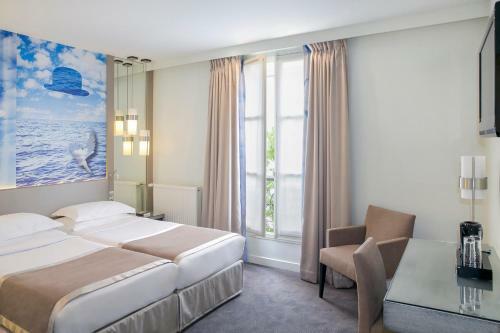 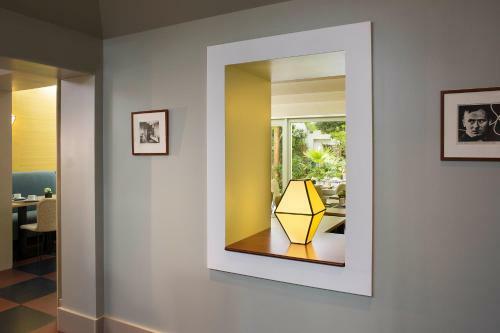 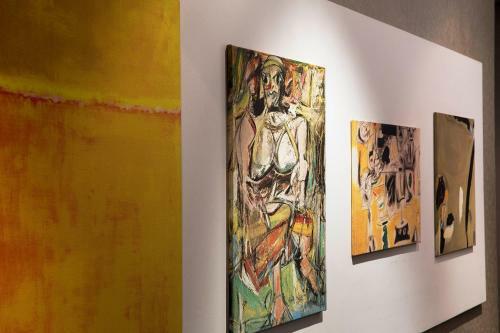 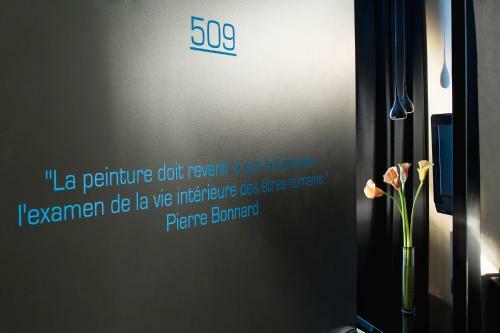 These rooms feature decor based on different artistic movements. This room cannot accommodate a baby cot. 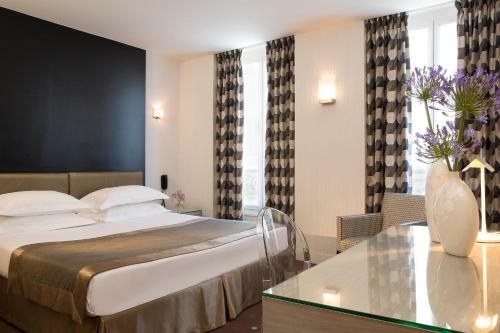 Rate: € 101.15 ... € 269.00; select dates below to get current rates. These rooms feature decor based on different artistic movements. 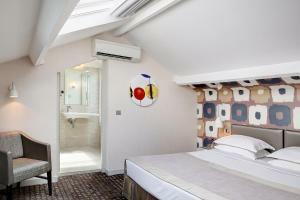 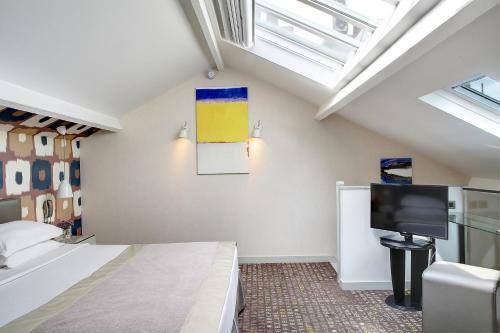 This triple room has a satellite TV, minibar and air conditioning. This suite features air conditioning, satellite TV and minibar.